Given that I am a dinosaur of the Print Age, it has taken a long time to bring our website into the Electronic Age. For a number of years now, we have unsuccessfully tried to make the transition; each time we made the attempt, something happened to derail us. Meanwhile, we dropped farther and farther behind the times. The biggest problem by far was that would-be-buyers were forced to either write us checks for product, pay cash, or pay by PayPal. The process was getting undeniably archaic. Now, you’ll be able to shop electronically and fill your shopping carts and order by a click of a button! At the same time that this has been happening, we have posted the biggest book sale by far in our history. Most everything has been discounted; some items represent deep discounts. It has been noticed: now the orders are pouring in. We hope you’ll be pleased with what you see. Now it will be easy to contact us: just go to http://www.joewheelerbooks.com. And there you will find the Blog: Wednesdays with Dr. Joe, the Tweets, and Facebook icons. And you can reach us by email: mountainauthor@gmail.com. Thank you ever so much for staying with us until we finally get up to date! I take our book selection seriously, believing as I do that life offers us all too few opportunities to read books worth remembering. After all, if we read a book a week, starting at the age of five, at the age of 75, we’d only have read 3,600 books out of the millions one could choose from. Thus I gave a lot of thought to our 46th book selection. During a recent fall colors trip we took with Bob and Lucy Earp in Tennessee, Kentucky, West Virginia, Virginia, and North Carolina, I took four potential candidates for the November book along. Aldrich’s book won out. It was my second reading of Aldrich’s masterpiece, and it impressed me even more the second time than it did the first (rarely is this true). Would you like to become an authority of sorts on life on the Great Plains during the pivotal post Civil War years? 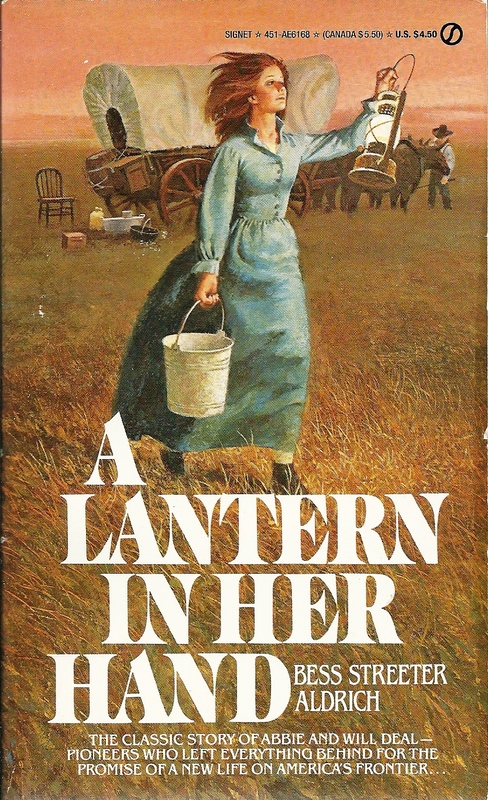 Travel in a wagon train, live in a sod house (mostly underground), live with droughts, torrential rains, prairie fires, blizzards, grasshopper plagues, claim jumpers, primitive medical conditions, unrelenting winds, marauding Indians, financial depressions, isolation, wars, epidemics, early death, and ever so much more. Live through it as retold by one whose parents lived through it herself. The early events in the book were lived by Aldrich’s parents; the later events she experienced herself. As a reader, you are there with the storyteller, Bess Streeter Aldrich. Once you board that covered wagon that is pulled west into Nebraska, vicariously you live as pioneers lived, enter into their minds, hearts, and souls. “Abbie walked over to the small-paned half-window set in the sod, and looked out at the gray twilight coming across the prairie. The winds that were never still blew past the house in their unending flight. “How queer people were. All the folks in the new country were hoarding things, hanging on to old heirlooms. They became symbols of refinement and culture. “Sarah Lutz had a painting that drew your eyes to it the minute you opened the door. Oscar Lutz’s wife had a pink quilted bedspread that she kept rolled up in newspapers. Even Christine Reinmueller had a bright blue vase with magenta-colored roses on it, standing up on top of the cupboard. They stood for something besides the land and the corn and the cattle. They must hang onto them, never lose them out of their lives, for if lost, everything was lost. She must hang onto the pearls and everything they stood for; Sarah must keep her painting; Martha Lutz, her bedspread; Christine, her blue vase. Else what was there in the future for the children?” (P. 108). But the true measure of a book is whether or not it has the power to change you, inspire you, elevate you, broaden you, make you think deep thoughts—so that when you reluctantly read that last page, you are a different person from what you were when you read that first page—This is just such a book. 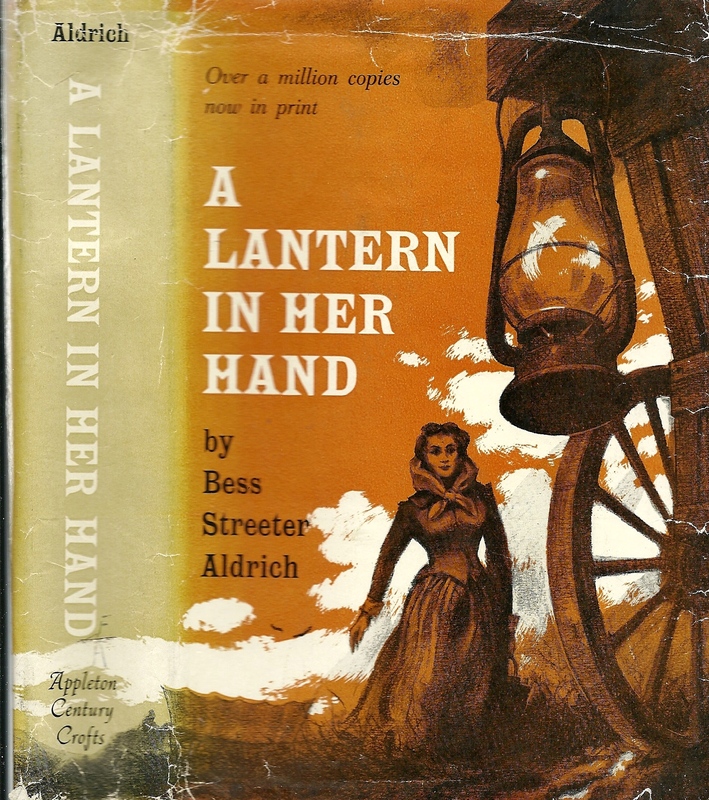 Bess Streeter Aldrich (1881 – 1954) was one of Nebraska’s most widely read and loved authors. Her writing career spanned forty-some years, during which she published over 160 short stories and articles, nine novels, one novella, two books of short stories, and one omnibus. In her work, she emphasized family values and recorded accurately Midwest pioneering history. She became one of the highest-paid authors of her time. Her work appeared regularly in such magazines as The American, Saturday Evening Post, Ladies’ Home Journal, Collier’s, Cosmopolitan, and McCall’s. Aldrich was originally published by D. Appleton & Company. If at all possible, secure a first edition hardback with dust jacket. She has also been published by Dutton Signet and Appleton Century Crofts. It was on August 8 of 2015 that our family caravanned into the foothills of California’s Lassen Volcanic National Park. Not surprisingly, never before had Connie and I and Greg and Michelle explored the park together. “Not surprisingly,” given that Lassen is outside the loop of normal national park visitation. Yosemite, Sequoia, Kings Canyon, Death Valley, and Joshua National Parks are integral parts of such a loop; Lassen is alone, and consequently its visitations are much less. So, for starters, let’s see how Lassen became a national park in the first place. Chances are that if it had kept its cool by remaining merely just another dormant volcano, it would have remained unknown. But at 9:43 a.m., on June 14, 1914, Lassen erupted. It erupted 389 times more between 1914 and 1921, when it finally settled down again. To preserve this living volcanic laboratory, Congress created the Lassen Volcanic National Park on August 9, 1916. The result today is the 106 ,372 acre park. It is especially interesting because it includes four different types of volcanoes. First of all, Lassen Peak may be the largest plug-dome volcano in the world; and older, layered stratovokano (also called composite volcano); shield volcanoes, where basalt forms low, smooth domes; and cinder cones. In addition, every hydrothermal (hot water) feature found on Earth, except for geysers, appears here.” (White, p. 391). 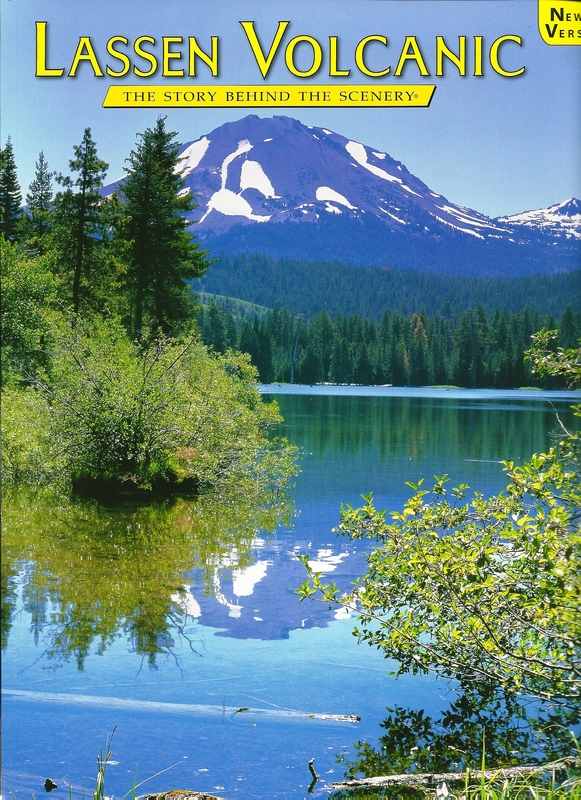 Lassen Park (10,457 feet) is the highest point in the park. It receives lots of snow, often forty feet a year. Our extended family drove up high into the park then hiked to the volcanic area known as Bumpass Hell, named for K. V. Bumpass, a local guide who in the 1860s fell through the thin crust covering a sizzling mud pot, badly burning his leg. We were able to explore this large area via the extensive network of elevated boardwalks. 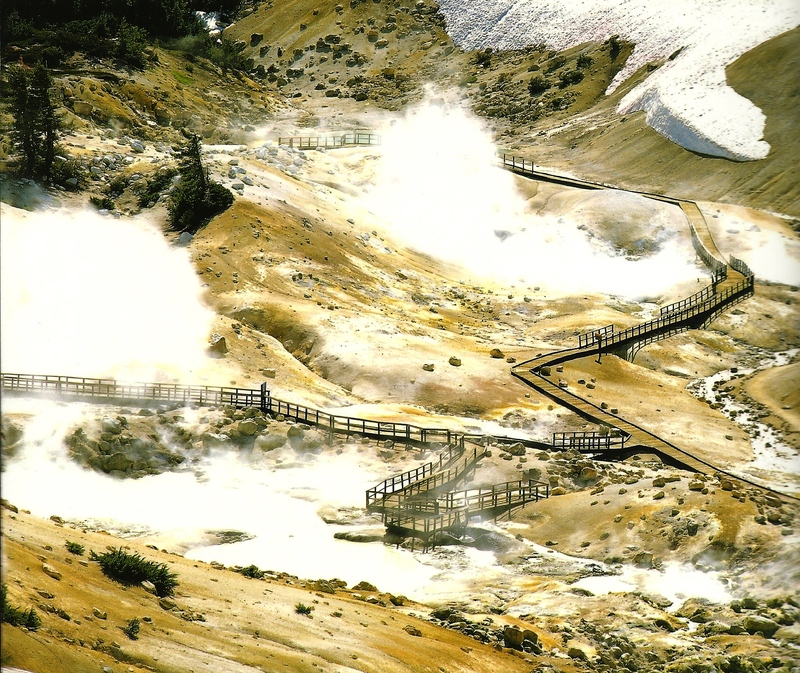 It is the only place in the Cascade Range where such thermal activity takes place. Later, we explored the new multimillion dollar visitor center and took full advantage of the fascinating exhibits and film on the many dimensions of the park. We have discovered that these films created for each national park visitor center are well worth the time it takes to see them; and they greatly enhance the park visitation itself. Not until the 1980 eruption of St. Helens in Washington did another volcano erupt in the lower 48 states. Richard Ellis, Lassen Volcanic: The Story Behind the Scenery (Wickenburg, AZ: KC Publications, 2011). Illustrations taken from it as well.